[Cover] | Malmaxa. Another View, of True ©. 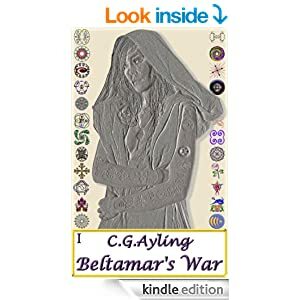 Enjoy the current cover of the first novel in Malmaxa, namely “Beltamar’s War“. 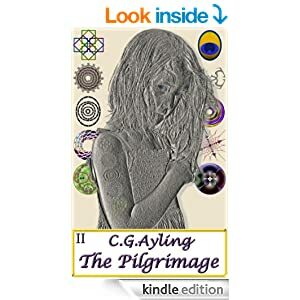 The cover depicts Daniskira, the Symbologist, adorned with her marks of lineage. 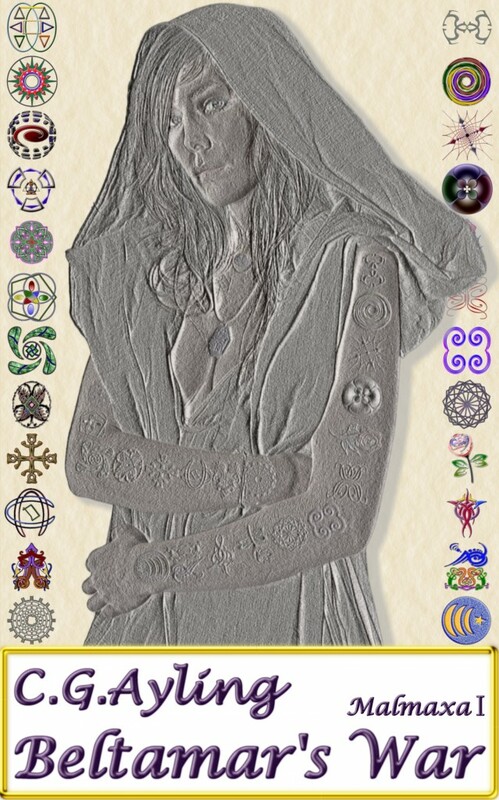 Her feminine arm, the left, is fully visible and clearly reveals the unique symbols of all her twelve mothers. These marks are rendered in color upon the background parchment, where they line the right side of the image. In contrast, Daniskira’s masculine arm is partially hidden from view and thus conceals the symbols of her first four fathers. Her fathers’ marks, for twelve generations, line the left side of the cover. For those interested in history, the picture below is the original cover. Unfortunately some seemed to think this indicated the story was focused on tattooing, which is more than a little incorrect… Tell me true – do you wield the marks of your family etched within the fabric of your soul, or depicted upon paper in a picture? Is a picture truly worth a myriad memories? LOVE this! “Honor your family and wear their marks, always”…indeed. Crazy thing is my ‘marks’ are significant to my family as well. Creepy-cool coincidence! I love your new cover. It’s exotic and I didn’t get the “tattoo” impression. Marking her is symbolic, and I got that from the cover. I do want to figure out what the marks mean and why she wears them. Thank you, Loren. I really appreciate your comments. We are constantly instructed not to judge a book by its cover, yet the cover is the first thing we see and if it isn’t attractive enough we simply move on. Likewise with people, we look first at their skin. I wonder how many wonderful people we never meet because we literally never gave them a second glance? That is one of the things that so attracts me to Social Media. Social Media shelters us from our own preconceptions. I love the new cover. It’s intriguing, accurately conveying what’s in store for the reader. A winner in my book (:-)! Also like the original, but this one’s more mysterious, different, and has more appeal. Thank you, Trish. It is extremely important to me that every element of my work mean something, and the cover is no exception to that desire. Interestingly enough my brother has encouraged me to have a new cover professionally designed, but I am very reluctant to do so. Why? Because in order to create a cover suited to the book they’d have to read it. I don’t think cover designers do that, though they do create images that are attractive. Unfortunately they’re attractive for the wrong reason, in that they don’t draw the reader to the story but to an image that likely has nothing to do with it at all. Thank you for taking the time to post. I appreciate it.